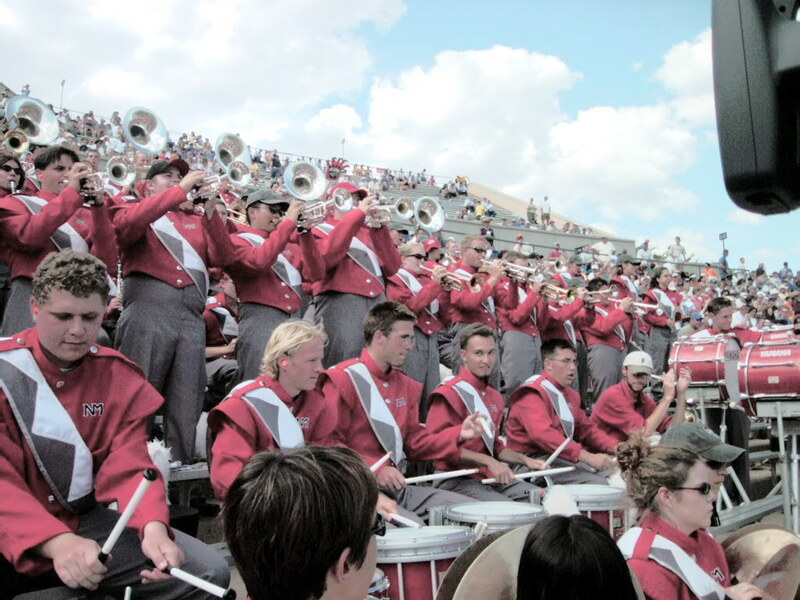 Welcome to the University of New Mexico's Spirit Marching Band Official Trumpet Section website. We're known for our unnecessary kiss-offs and EVERYone taking EVERYthing up ALL the time. So if you think you've got what it takes to join us, e-mail Matt (a.k.a. Jorge) and he'll hook you up. The past show we featured the songs Strike up the Band, When a Man Loves a Woman, and The Impression I Get. Our next show wil include Artistry in Rhythm, It Don't Mean a Thing, and Sing Sing Sing. Interested in joining the band? YOU SHOULD! Check out the Information page to learn about some scholarships, other university bands, and to get links to other helpful sites. This site is owned and maintained by the SMB Trumpets. Questions, comments, and other such crap can go to Abad.